In his speech on Wednesday night, Ted Cruz ruined Donald Trump's hopes of coming out of the Republican National Convention with a united party. Polls suggest this could be a problem, as the party remains more divided than it was in its losing 2012 campaign. The Republican National Convention being held in Cleveland, Ohio, this week was supposed to be the moment that Republicans of all stripes — those who voted for him in the primaries and those who didn't — united behind Donald Trump. 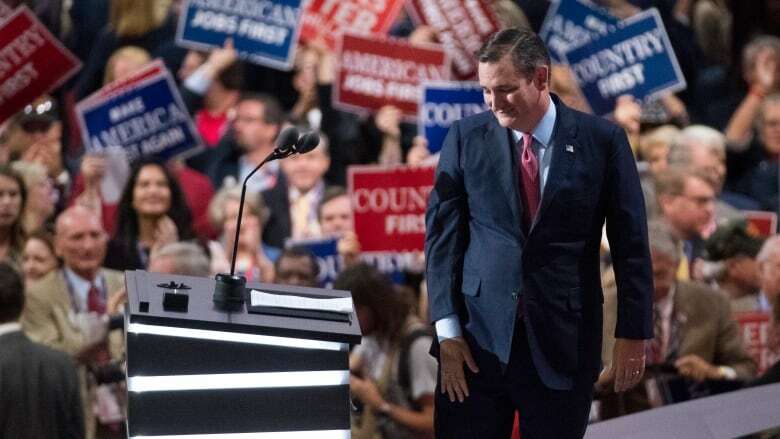 Ted Cruz, a senator from Texas who was Donald Trump's main rival during the long primary season for the Republican nomination, was booed off the convention stage on Wednesday night after giving a speech in which he refused to endorse Trump. He told Republicans to vote with their conscience, a reference to the failed campaign to allow Republican delegates to vote for the nominee of their choice, rather than being bound to the candidate who prevailed in the primaries. Cruz doubled-down on his message on Thursday morning, telling Texas delegates that he could not follow through on the pledge he had made during the primaries to support the Republican nominee regardless of who it might be. He had to break that pledge, he said, when Trump made things personal. In addition to repeatedly calling the Texan senator "Lyin' Ted" and making unflattering comparisons between Melania Trump and Cruz's wife Heidi, the Republican nominee for the American presidency also implied that Cruz's father may have been involved in the assassination of John F. Kennedy. But was this a personal fight between two bitter political foes, or was Cruz speaking for a large number of Republicans? There are strong indications from polls that the Republicans remain greatly divided. In six recent polls (by Ipsos, Franklin Pierce University, Monmouth University, Morning Consult, CNN/ORC, and YouGov), support for Trump among self-identified Republicans has averaged about 80 per cent. His favourability rating among Republicans sits at an average of 74 per cent, with 22 per cent of Republicans saying they hold an unfavourable view of their party's nominee. In two recent surveys, only 54 per cent of Republican primary voters who did not support Trump said they would vote for their party's nominee. This compares poorly with how Republicans viewed their last candidate for the presidency, Mitt Romney, on the eve of the party's national convention in 2012. In three polls conducted by CBS, CNN/ORC, and Monmouth in August of that year, 90 per cent of self-identified Republicans said they would be casting a ballot for Romney. Romney's approval rating was only slightly higher than Trump's at 77 per cent, but his unfavourability rating stood at only seven per cent — about a third of Trump's among Republicans. That divisions within the Republican Party exist were made clear by the roll call that led to Trump officially becoming the party's nominee. While Trump did win 70 per cent of the votes from delegates at the convention this week, that was an unusually low number. Normally, the party tries to make their choice as unanimous as possible. Mitt Romney had 90 per cent support at the 2012 RNC convention. In 2008, John McCain received 99 per cent of delegates' votes — despite winning about 73 per cent of delegates during the primary process. It now seems unlikely that Republicans will quickly unite behind Trump after the spectacle that has been this convention. The Democrats are hoping their own convention will be more successful. And with good reason: if the Republican Party is more divided today than it was four years ago, the same can be said of the Democrats. Hillary Clinton is getting no more support from self-identified Democrats as Trump is getting among Republicans. And her favourability rating among Democrats — at 77 per cent favourable to 18 per cent unfavourable — is only marginally better than Trump's among the GOP faithful. In 2012, Barack Obama had the support of 90 per cent of Democrats and less than half of Clinton's unfavourability rating. Additionally, Democratic primary voters who supported Bernie Sanders are still reluctant to come over to Hillary Clinton. Two polls put her support among this group at an average of just 51 per cent. But the Democratic National Convention next week in Philadelphia is unlikely to see the kind of disruption that has been taking place in Cleveland. 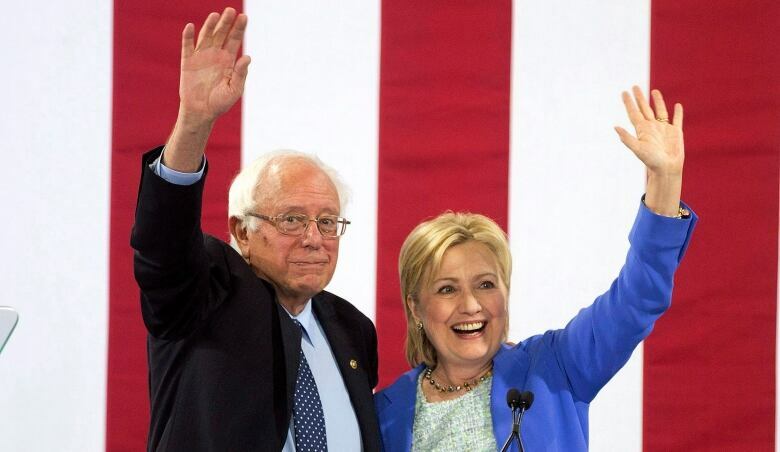 Though some supporters of Sanders are still very vocally against a Clinton candidacy, Sanders has already endorsed the Democratic nominee. The senator from Vermont will also be addressing the convention. But instead of making a scene as Cruz did last night, Clinton's redoubtable rival during the Democratic primary process will sing her praises and tell his supporters why they should cast their ballot for her. It has been a bad week for the Republicans. Next week, the Democrats will have the opportunity to make it look even worse by comparison. Host Éric Grenier is joined from Cleveland by the CBC's senior reporter in Washington, D.C., Keith Boag. Subscribe to or listen to past episodes of the podcast here.